Joint Entrance Examination (JEE) Advanced will be conducted by the seven zonal IITs with guidance from the Joint Admission Board (JAB). Only the top 1.5 lakh rank holders in JEE Main are eligible to appear for JEE Advanced. Note : According to the official website of JEE Advanced top 2 lakh rank holders in JEE Main will be eligible to take the exam. Candidates seeking admissions in bachelor’s programmes, integrated master’s programmes as well as dual degree programmes at the 16 IITs and Indian School of Mines (ISM) need to clear JEE Advanced. 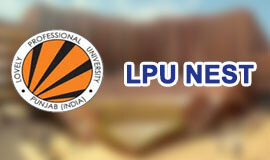 Eligible candidates need to appear for two entrance examinations. These examinations are referred to as Paper-1 and Paper-2. While, Paper-1 for this entrance exam will be conducted from 9 am to 12 pm, Paper-2 will be held on the same day from 2 pm to 5 pm. Paper-1 and Paper-2 of this entrance exam will comprise of three separate sections wherein questions will be asked from subjects such as Physics, Chemistry and Mathematics. Candidates will be awarded negative marking on incorrectly answering some questions in the exam. • Objective type (multiple choice) questions. • Numerical answer type questions designed to test comprehension, reasoning and analytical ability of candidates. Question paper will be in either English or Hindi as per the option selected by candidates at the time of registering for the exam. It can be a little overwhelming to go through the complete syllabus for this engineering entrance exam and so to understand which topics to study and which to avoid, go through exam analysis for JEE Advanced by experts. It is two-page long, each page of the ORS answer sheet will have the same lay-out. The ORS’s first page is machine readable. But, the ORS is designed such that it leaves impressions of the candidate’s responses on the second page. Do not separate or disturb the alignment of the two pages of the ORS under any circumstance. Mark all the answers on the first page of the ORS. Use black ball point pen for darkening the bubbles. Encircle the correct answer such that the impression is prominently made on the second page of the ORS. Candidates must strictly adhere to the instructions as well as rules and regulations mentioned on the question paper regarding the darkening of bubbles. Also, the second page of the ORS will be given to candidates at the end of JEE Advanced Paper-1 and Paper-2 by the invigilator. 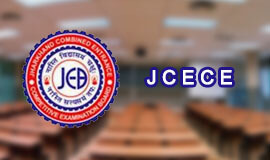 According to the official website of JEE Advanced, the exam will be conducted in 16 more cities across the country. Take a look at the same below. General topics : Concept of atoms and molecules; Dalton’s atomic theory; Mole concept; Chemical formulae; Balanced chemical equations; Calculations (based on mole concept) involving common oxidation-reduction, neutralisation, and displacement reactions; Concentration in terms of mole fraction, molarity, molality and normality. Gaseous and liquid states : Absolute scale of temperature, ideal gas equation; Deviation from ideality, van der Waals equation; Kinetic theory of gases, average, root mean square and most probable velocities and their relation with temperature; Law of partial pressures; Vapour pressure; Diffusion of gases. Energetics : First law of thermodynamics; Internal energy, work and heat, pressure-volume work; Enthalpy, Hess’s law; Heat of reaction, fusion and vapourization; Second law of thermodynamics; Entropy; Free energy; Criterion of spontaneity. Chemical equilibrium : Law of mass action; Equilibrium constant, Le Chatelier’s principle (effect of concentration, temperature and pressure); Significance of ?G and ?G0 in chemical equilibrium; Solubility product, common ion effect, pH and buffer solutions; Acids and bases (Bronsted and Lewis concepts); Hydrolysis of salts. Electrochemistry : Electrochemical cells and cell reactions; Standard electrode potentials; Nernst equation and its relation to ?G; Electrochemical series, emf of galvanic cells; Faraday’s laws of electrolysis; Electrolytic conductance, specific, equivalent and molar conductivity, Kohlrausch’s law; Concentration cells. Solid state : Classification of solids, crystalline state, seven crystal systems (cell parameters a, b, c, ?, ?, ? ), close packed structure of solids (cubic), packing in fcc, bcc and hcp lattices; Nearest neighbours, ionic radii, simple ionic compounds, point defects. Nuclear chemistry : Radioactivity: isotopes and isobars; Properties of ?, ? and ? rays; Kinetics of radioactive decay (decay series excluded), carbon dating; Stability of nuclei with respect to proton-neutron ratio; Brief discussion on fission and fusion reactions. Isolation/preparation and properties of the following non-metals : Boron, silicon, nitrogen, phosphorus, oxygen, sulphur and halogens; Properties of allotropes of carbon (only diamond and graphite), phosphorus and sulphur. Preparation and properties of the following compounds : Oxides, peroxides, hydroxides, carbonates, bicarbonates, chlorides and sulphates of sodium, potassium, magnesium and calcium; Boron: diborane, boric acid and borax; Aluminium: alumina, aluminium chloride and alums; Carbon: oxides and oxyacid (carbonic acid); Silicon: silicones, silicates and silicon carbide; Nitrogen: oxides, oxyacids and ammonia; Phosphorus: oxides, oxyacids (phosphorus acid, phosphoric acid) and phosphine; Oxygen: ozone and hydrogen peroxide; Sulphur: hydrogen sulphide, oxides, sulphurous acid, sulphuric acid and sodium thiosulphate; Halogens: hydrohalic acids, oxides and oxyacids of chlorine, bleaching powder; Xenon fluorides. Transition elements (3d series) : Definition, general characteristics, oxidation states and their stabilities, colour (excluding the details of electronic transitions) and calculation of spin-only magnetic moment; Coordination compounds: nomenclature of mononuclear coordination compounds, cis-trans and ionisation isomerisms, hybridization and geometries of mononuclear coordination compounds (linear, tetrahedral, square planar and octahedral). Preparation and properties of the following compounds : Oxides and chlorides of tin and lead; Oxides, chlorides and sulphates of Fe2+, Cu2+ and Zn2+; Potassium permanganate, potassium dichromate, silver oxide, silver nitrate, silver thiosulphate. Extractive metallurgy : Chemical principles and reactions only (industrial details excluded); Carbon reduction method (iron and tin); Self reduction method (copper and lead); Electrolytic reduction method (magnesium and aluminium); Cyanide process (silver and gold). Principles of qualitative analysis : Groups I to V (only Ag+, Hg2+, Cu2+, Pb2+, Bi3+, Fe3+, Cr3+, Al3+, Ca2+, Ba2+, Zn2+, Mn2+ and Mg2+); Nitrate, halides (excluding fluoride), sulphate and sulphide. Concepts : Hybridisation of carbon; ? and ?-bonds; Shapes of simple organic molecules; Structural and geometrical isomerism; Optical isomerism of compounds containing up to two asymmetric centres, (R,S and E,Z nomenclature excluded); IUPAC nomenclature of simple organic compounds (only hydrocarbons, mono-functional and bi-functional compounds); Conformations of ethane and butane (Newman projections); Resonance and hyperconjugation; Keto-enoltautomerism; Determination of empirical and molecular formulae of simple compounds (only combustion method); Hydrogen bonds: definition and their effects on physical properties of alcohols and carboxylic acids; Inductive and resonance effects on acidity and basicity of organic acids and bases; Polarity and inductive effects in alkyl halides; Reactive intermediates produced during homolytic and heterolytic bond cleavage; Formation, structure and stability of carbocations, carbanions and free radicals. Preparation, properties and reactions of alkanes : Homologous series, physical properties of alkanes (melting points, boiling points and density); Combustion and halogenation of alkanes; Preparation of alkanes by Wurtz reaction and decarboxylation reactions. Preparation, properties and reactions of alkenes and alkynes : Physical properties of alkenes and alkynes (boiling points, density and dipole moments); Acidity of alkynes; Acid catalysed hydration of alkenes and alkynes (excluding the stereochemistry of addition and elimination); Reactions of alkenes with KMnO4 and ozone; Reduction of alkenes and alkynes; Preparation of alkenes and alkynes by elimination reactions; Electrophilic addition reactions of alkenes with X2, HX, HOX and H2O (X=halogen); Addition reactions of alkynes; Metal acetylides. Reactions of benzene : Structure and aromaticity; Electrophilic substitution reactions: halogenation, nitration, sulphonation, Friedel-Crafts alkylation and acylation; Effect of o-, m- and p-directing groups in monosubstituted benzenes. Phenols : Acidity, electrophilic substitution reactions (halogenation, nitration and sulphonation); Reimer-Tieman reaction, Kolbe reaction. Characteristic reactions of the following (including those mentioned above) : Alkyl halides: rearrangement reactions of alkyl carbocation, Grignard reactions, nucleophilic substitution reactions; Alcohols: esterification, dehydration and oxidation, reaction with sodium, phosphorus halides, ZnCl2/concentrated HCl, conversion of alcohols into aldehydes and ketones; Ethers: Preparation by Williamson’s Synthesis; Aldehydes and Ketones: oxidation, reduction, oxime and hydrazone formation; aldol condensation, Perkin reaction; Cannizzaro reaction; haloform reaction and nucleophilic addition reactions (Grignard addition); Carboxylic acids: formation of esters, acid chlorides and amides, ester hydrolysis; Amines: basicity of substituted anilines and aliphatic amines, preparation from nitro compounds, reaction with nitrous acid, azo coupling reaction of diazonium salts of aromatic amines, Sandmeyer and related reactions of diazonium salts; carbylamine reaction; Haloarenes: nucleophilic aromatic substitution in haloarenes and substituted haloarenes (excluding Benzyne mechanism and Cine substitution). Carbohydrates : Classification; mono- and di-saccharides (glucose and sucrose); Oxidation, reduction, glycoside formation and hydrolysis of sucrose. Amino acids and peptides : General structure (only primary structure for peptides) and physical properties. Properties and uses of some important polymers : Natural rubber, cellulose, nylon, teflon and PVC. Practical organic chemistry : Detection of elements (N, S, halogens); Detection and identification of the following functional groups: hydroxyl (alcoholic and phenolic), carbonyl (aldehyde and ketone), carboxyl, amino and nitro; Chemical methods of separation of mono-functional organic compounds from binary mixtures. • Algebra of complex numbers, addition, multiplication, conjugation, polar representation, properties of modulus and principal argument, triangle inequality, cube roots of unity, geometric interpretations. • Quadratic equations with real coefficients, relations between roots and coefficients, formation of quadratic equations with given roots, symmetric functions of roots. • Arithmetic, geometric and harmonic progressions, arithmetic, geometric and harmonic means, sums of finite arithmetic and geometric progressions, infinite geometric series, sums of squares and cubes of the first n natural numbers. • Logarithms and their properties. • Permutations and combinations, binomial theorem for a positive integral index, properties of binomial coefficients. • Matrices as a rectangular array of real numbers, equality of matrices, addition, multiplication by a scalar and product of matrices, transpose of a matrix, determinant of a square matrix of order up to three, inverse of a square matrix of order up to three, properties of these matrix operations, diagonal, symmetric and skew-symmetric matrices and their properties, solutions of simultaneous linear equations in two or three variables. • Addition and multiplication rules of probability, conditional probability, Bayes Theorem, independence of events, computation of probability of events using permutations and combinations. • Trigonometric functions, their periodicity and graphs, addition and subtraction formulae, formulae involving multiple and sub-multiple angles, general solution of trigonometric equations. • Relations between sides and angles of a triangle, sine rule, cosine rule, half-angle formula and the area of a triangle, inverse trigonometric functions (principal value only). • Two dimensions: Cartesian coordinates, distance between two points, section formulae, shift of origin. • Equation of a straight line in various forms, angle between two lines, distance of a point from a line; Lines through the point of intersection of two given lines, equation of the bisector of the angle between two lines, concurrency of lines; Centroid, orthocentre, incentre and circumcentre of a triangle. • Equation of a circle in various forms, equations of tangent, normal and chord. • Parametric equations of a circle, intersection of a circle with a straight line or a circle, equation of a circle through the points of intersection of two circles and those of a circle and a straight line. • Equations of a parabola, ellipse and hyperbola in standard form, their foci, directrices and eccentricity, parametric equations, equations of tangent and normal. • Three dimensions: Direction cosines and direction ratios, equation of a straight line in space, equation of a plane, distance of a point from a plane. • Real valued functions of a real variable, into, onto and one-to-one functions, sum, difference, product and quotient of two functions, composite functions, absolute value, polynomial, rational, trigonometric, exponential and logarithmic functions. • Limit and continuity of a function, limit and continuity of the sum, difference, product and quotient of two functions, L’Hospital rule of evaluation of limits of functions. • Even and odd functions, inverse of a function, continuity of composite functions, intermediate value property of continuous functions. • Derivative of a function, derivative of the sum, difference, product and quotient of two functions, chain rule, derivatives of polynomial, rational, trigonometric, inverse trigonometric, exponential and logarithmic functions. • Derivatives of implicit functions, derivatives up to order two, geometrical interpretation of the derivative, tangents and normals, increasing and decreasing functions, maximum and minimum values of a function, Rolle’s theorem and Lagrange’s mean value theorem. • Integration as the inverse process of differentiation, indefinite integrals of standard functions, definite integrals and their properties, fundamental theorem of integral calculus. • Integration by parts, integration by the methods of substitution and partial fractions, application of definite integrals to the determination of areas involving simple curves. • Formation of ordinary differential equations, solution of homogeneous differential equations, separation of variables method, linear first order differential equations. • Addition of vectors, scalar multiplication, dot and cross products, scalar triple products and their geometrical interpretations. • Kinematics in one and two dimensions (Cartesian coordinates only), projectiles; Uniform Circular motion; Relative velocity. • Newton’s laws of motion; Inertial and uniformly accelerated frames of reference; Static and dynamic friction; Kinetic and potential energy; Work and power; Conservation of linear momentum and mechanical energy. • Systems of particles; Centre of mass and its motion; Impulse; Elastic and inelastic collisions. • Law of gravitation; Gravitational potential and field; Acceleration due to gravity; Motion of planets and satellites in circular orbits; Escape velocity. • Rigid body, moment of inertia, parallel and perpendicular axes theorems, moment of inertia of uniform bodies with simple geometrical shapes; Angular momentum; Torque; Conservation of angular momentum; Dynamics of rigid bodies with fixed axis of rotation; Rolling without slipping of rings, cylinders and spheres; Equilibrium of rigid bodies; Collision of point masses with rigid bodies. • Linear and angular simple harmonic motions. • Hooke’s law, Young’s modulus. • Pressure in a fluid; Pascal’s law; Buoyancy; Surface energy and surface tension, capillary rise; Viscosity (Poiseuille’s equation excluded), Stoke’s law; Terminal velocity, Streamline flow, equation of continuity, Bernoulli’s theorem and its applications. • Wave motion (plane waves only), longitudinal and transverse waves, superposition of waves; Progressive and stationary waves; Vibration of strings and air columns; Resonance; Beats; Speed of sound in gases; Doppler effect (in sound). • Coulomb’s law; Electric field and potential; Electrical potential energy of a system of point charges and of electrical dipoles in a uniform electrostatic field; Electric field lines; Flux of electric field; Gauss’s law and its application in simple cases, such as, to find field due to infinitely long straight wire, uniformly charged infinite plane sheet and uniformly charged thin spherical shell. • Capacitance; Parallel plate capacitor with and without dielectrics; Capacitors in series and parallel; Energy stored in a capacitor. • Electric current; Ohm’s law; Series and parallel arrangements of resistances and cells; Kirchhoff’s laws and simple applications; Heating effect of current. • Biot–Savart’s law and Ampere’s law; Magnetic field near a current-carrying straight wire, along the axis of a circular coil and inside a long straight solenoid; Force on a moving charge and on a current-carrying wire in a uniform magnetic field. • Magnetic moment of a current loop; Effect of a uniform magnetic field on a current loop; Moving coil galvanometer, voltmeter, ammeter and their conversions. • Rectilinear propagation of light; Reflection and refraction at plane and spherical surfaces; Total internal reflection; Deviation and dispersion of light by a prism; Thin lenses; Combinations of mirrors and thin lenses; Magnification. • Wave nature of light: Huygen’s principle, interference limited to Young’s double-slit experiment. • Atomic nucleus; ?, ? and ? radiations; Law of radioactive decay; Decay constant; Half-life and mean life; Binding energy and its calculation; Fission and fusion processes; Energy calculation in these processes. • Photoelectric effect; Bohr’s theory of hydrogen-like atoms; Characteristic and continuous X-rays, Moseley’s law; de Broglie wavelength of matter waves. * IST - Indian Standard Time. Age limit for JEE Advanced for General or OBC-NCL category candidates states that they are eligible to apply for the entrance exam if they are 25 years of age or less.. However, age limit for SC, ST or PwD category candidates states that such aspirants should be 30 years of age or less. The exam eligibility for JEE Advanced states that candidates can appear for this engineering entrance exam a maximum of two times in his/her lifetime. Here, candidates also need to ensure that they appear for this entrance exam in consecutive years. To explain this further, if a candidate wants to appear for JEE Advanced in then this attempt should either be his/her first attempt and if not so, then this should be his/her second consecutive attempt. 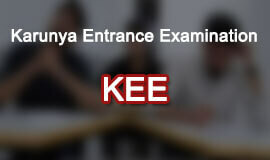 Candidates can appear for this engineering entrance exam if they have appeared for their Class XII or equivalent exam. Here, candidates also need to ensure that this should be their first attempt in all the subjects they have opted in Class XII or equivalent. 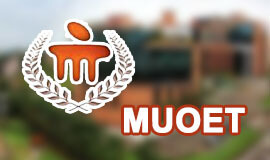 JEE Advanced eligibility criteria mentions that a candidate can only appear for the exam if he/she has not taken admission earlier at any of the 16 IITs and ISM, this critreion also holds true even if the candidate took admission and did not continue with their admission in the programme on offer at any of the 16 IITs and ISM. Candidate will also be disqualified from appearing for the exam if it is brought to notice that they in the past had paid the admission fee for any course at IITs or ISM through JEE Advanced. Another eligibility criteria for JEE Advanced on the basis of which a candidate’s application can be rejected is if their admission was cancelled by the board/institute earlier. 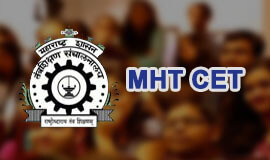 However, candidates are eligible to appear for it if they have been granted admission in any of the preparatory courses on offer (at any of the IITs). As per the JEE Advanced information brochure, “Candidates who are not citizens of India at the time of registering for JEE (Advanced) (by birth or naturalised) are treated as foreign nationals”. It is further shared that, “Seats allotted to foreign nationals are supernumerary. However, not all Institutes may have supernumerary seats. The availability of supernumerary seats will be announced at the time of seat allocation”. 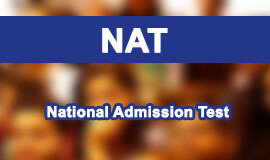 Candidates who are Indian nationals will be offered admissions based on seats reserved for the category under which they fall. This reservation of seats is done in accordance with the rules as mentioned by the Government of India. Other Backward Classes belonging to the Non-Creamy Layer (OBC-NCL) Candidates belonging to the Non-Creamy Layer of backward classes which are mentioned in the central list of OBCs are eligible to apply for JEE Advanced under this quota. Note: Candidates who belong to the creamy layer of OBC are not eligible for this reservation and such candidates will be treated as belonging to the general (GEN) category. Scheduled Caste (SC) Candidates belonging to those castes which are mentioned in the central list of corresponding states published by the Government of India are only eligible for reservations. Scheduled Tribe (ST) Candidates belonging to those tribes which are mentioned in the central list of corresponding states published by the Government of India are only eligible for reservations. As per the information brochure, “Unfilled seats in the OBC-NCL category can be allotted to GEN category candidates whereas seats remaining vacant under the SC and ST categories shall not be allotted to candidates belonging to other categories. The reservation for PwD candidates is horizontal and hence, unfilled seats will be allotted to candidates belonging to the respective categories, i.e, unfilled SC-PwD seats will be allotted to candidates belonging to the Sc category and so on”. Foreign nationals will not be given an option to apply for admissions under the OBC-NCL, SC, ST or PwD reservation category. Candidates need to note here that, once they select a category at the time of JEE Advanced registration, then they will not be given an option to make any changes in their category selection field in the registration form. JEE Advanced notification states that candidates need to apply for this engineering entrance exam online through the official website of JEE Advanced .Candidates can only apply for the entrance exam if they fulfill JEE Advanced eligibility criteria. Candidates can register for JEE Advanced even if they did not opt to give the examination while registering for JEE Main. 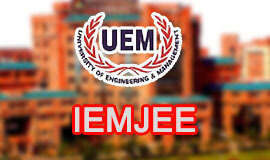 JEE Advanced application cannot be withdrawn after the registration process has been completed by the candidate. A recent colour photograph of the candidates taken in the last six months showing their full frontal face view such that the head is centered in the frame. The candidate’s head should cover 70%-80% of the photograph and should be such that it allows unambiguous identification of the candidate. Birth certificate or Class X certificate if it mentions the date of birth. Class XII or equivalent examination certificate, this is mandatory for candidates who appeared for the examination Scanned copy of candidate’s full signature. Scanned copy of left-hand thumb impression. If the candidate’s name is not same to that mentioned in his/her Class X certificate then the candidate needs to include gazette notification showing the change of name. Candidates applying for the exam under the OBC-NCL category need to enclose a copy of their OBC-NCL certificate (FORM EC2) issued to them with the JEE Advanced registration form. Candidates applying for the exam under the SC category need to enclose a copy of their Caste certificate (FORM EC1) issued to them with the registration form of JEE Advanced. Candidates applying for the exam under the ST category need to enclose a copy of their Tribe certificate (FORM EC1) issued to them with the registration form. Candidates applying for the exam under this quota need to enclose a copy of their Disability certificate (FORM EC3) issued by a district medical board /competent authority to them on or after June 1, 2014 with the registration form. Candidates applying for the exam admissions under this category need to enclose a copy of the certificate (FORM EC4) issued to them by a competent authority in the Directorate of Resettlement and Rehabilitation, New Delhi under the Ministry of Defence or the Ministry of Home Affairs, Government of India. At the time of JEE Advanced registration, candidates also need to select from a list of exam centres and the address of the examination centre finally allotted to the candidate will also be displayed in their admit card. The exam conducting board notifies the candidates to carefully examine all the information printed on their admit card and in case of any discrepancy in the same, candidates are advised to contact the Chairman, JEE (Advanced) of the respective zonal IIT where they reside. Eligible candidates need to produce a copy of their downloaded admit card at the time of examination. This original JEE Advanced admit card must be retained by the candidates till all the admission formalities of the exam are not completed. 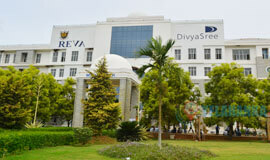 The admission notification states that candidates will be shortlisted for admissions in bachelor’s, integrated master’s and dual degree programmes on offer at the 16 IITs and ISM on the basis of their performance in the entrance examination. 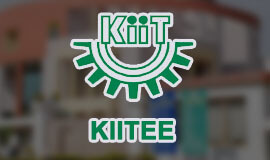 It is further shared that, “The decisions of the JAB 2015 will be final in all matters related to JEE (Advanced) and admission to IITs and ISM”. The candidate should fall within the category-wise top 20 percentile of successful candidates in his/her respective Class XII (or equivalent) board examination. The candidate should have secured 75% (for GEN or OBC-NCL) or 70% (SC, ST or PwD) of aggregate marks in the Class XII (or equivalent) board examination.